Next Hearthstone Expansion to Head to Gadgetzan | Nerd Much? Blizzard is teasing its next Hearthstone expansion that will follow The Whispers of the Old Gods set, as the official Hearthstone Twitter is teasing something to do with Gadgetzan. 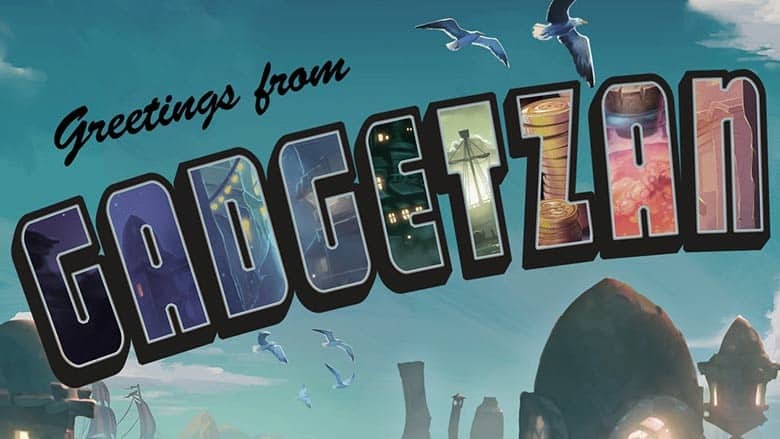 Yesterday afternoon, the official Hearthstone Twitter posted a teaser image that was a postcard-esque image that reads, “Greetings from Gadgetzan. It’s as clean as it is safe!”. It’s likely that if you’re reading this, you already know what Gadgetzan is. But in case you’re not a World of Warcraft player, know that Gadgetzan is one of WoW‘s neutral goblin trading posts where both horde and alliance members can trade with each other. No official announcement of the Hearthstone Gadgetzan expansion has been made just yet, but the tease is enough to excite for now. It’s also worth noting that Blizzard recently purchased the Gadgetzan.com domain, as pointed out by a Reddit user. If this is indeed the case, we’d expect some goblin-themed cards to be featured in the upcoming expansion. With Hearthstone losing sight of a key demographic, we’re hoping to see the new expansion fix some of its issues. For more of the latest gaming news, stay tuned to Nerdmuch.com. You can also give us virtual high-fives on Twitter if you’d like.